The city: a place to live, a space to inhabit. 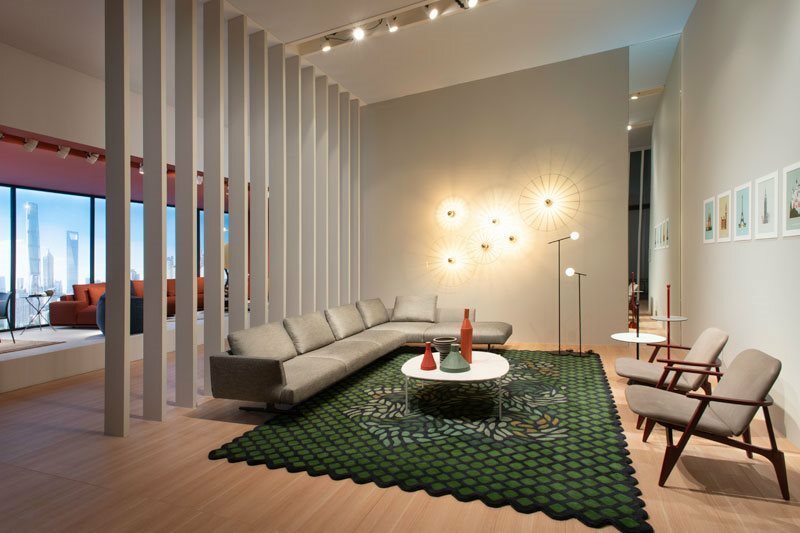 Personalised living space: furniture for interpreting the lifestyles of people who enjoy their homes. 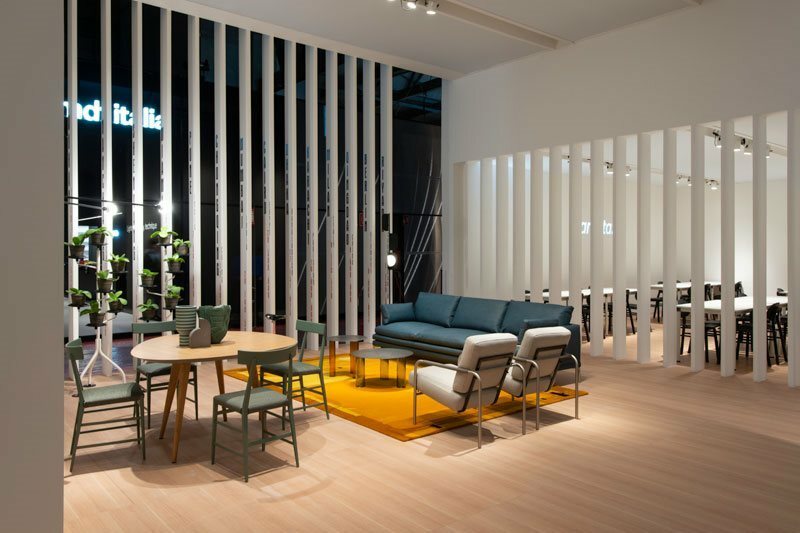 Urban Passion is Zanotta's theme for Milan Design Week 2019. 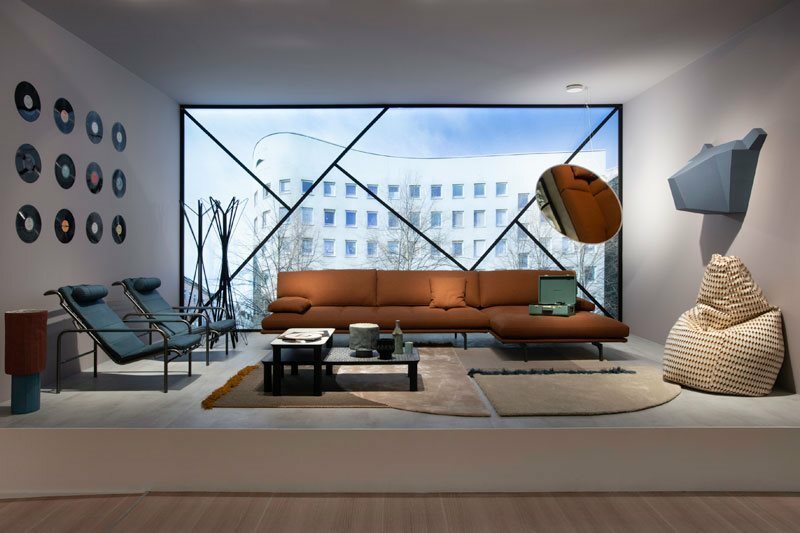 The stand in Hall 16 is designed to give the impression of looking in through a partly open window. Delimited by a sequence of parallel, sloping panels displaying the namesof the most populous cities in the world, it evokes scenes of domestic life in close empathy with their urban contexts. 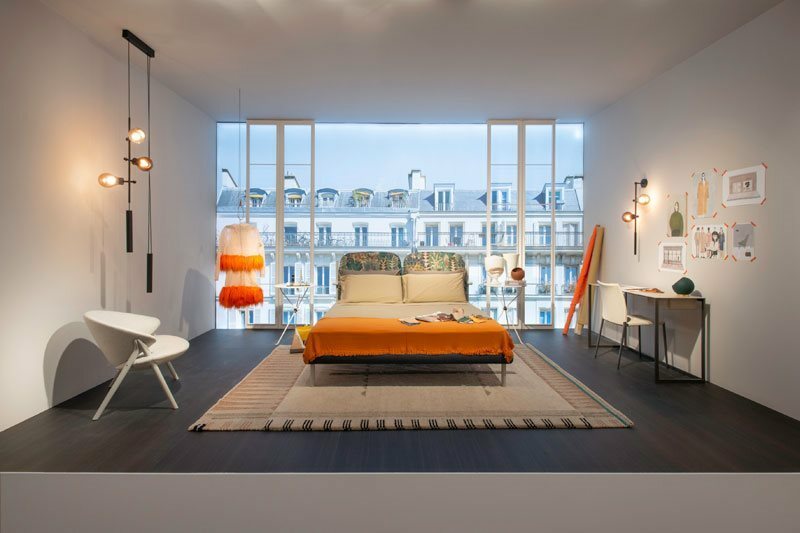 Furnishing by Calvi Brambilla, styling by Studio Salaris and graphic design by Leonardo Sonnoli create an ideal journey through six global cities. 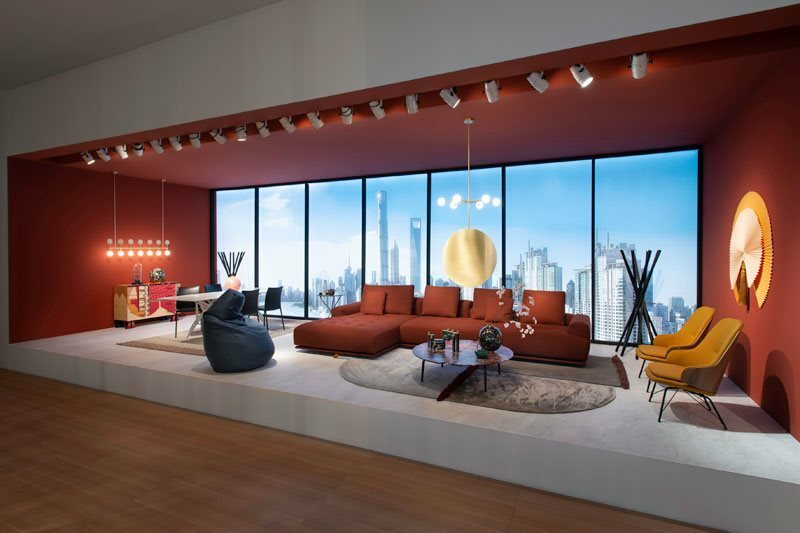 Berlin, Barcelona, Paris, New York, Shanghai and Rome provide six fascinating scenarios in which different urban landscapes inspire furnishing solutions that reflect their respective metropolitan identities. 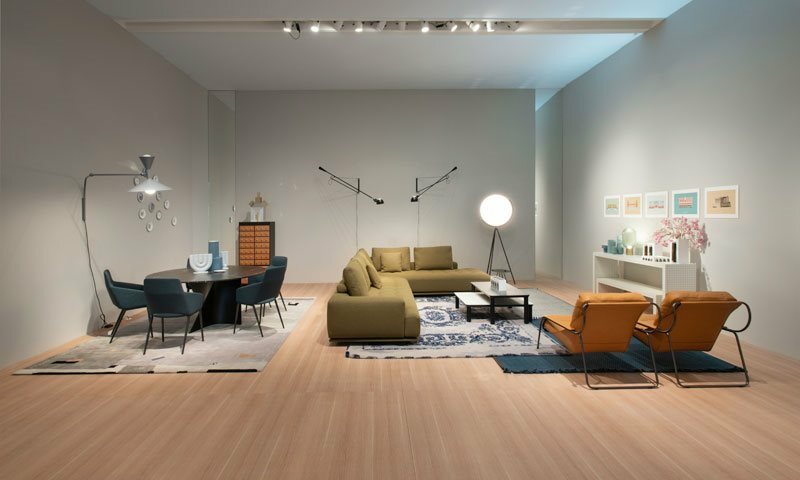 Berlin recovers its formal rigour through the rationality of the Milano+ sofa and the essential lines of Genni armchairs, complemented by the geometric pattern of the Sacco chair. 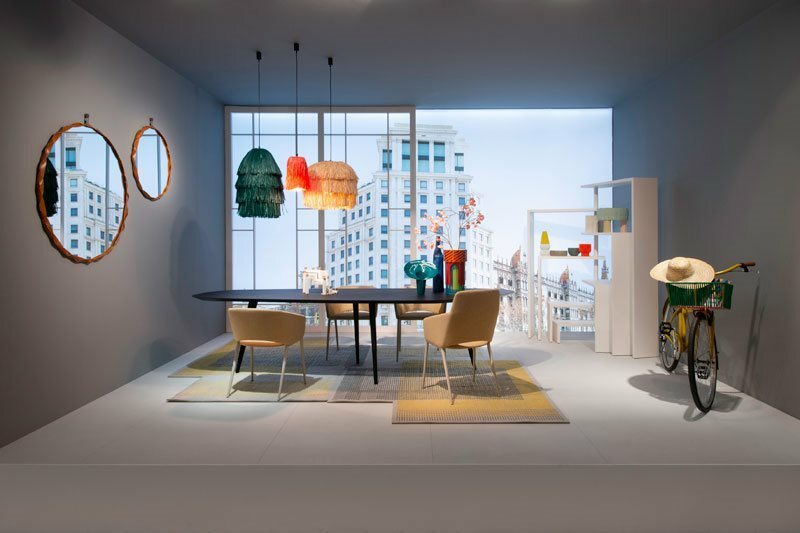 Barcelona conveys its warmth and vivacity through the bright pollen yellow of Tusa armchairs and the playful empathy of the Joy rotating shelf bookcase. Overlooking the rooftops of Paris is a bedroom with a gentle, soft atmosphere suggested by the Florin fabric bed whose almost art nouveau design enlivens the delicate hues of the other furniture. 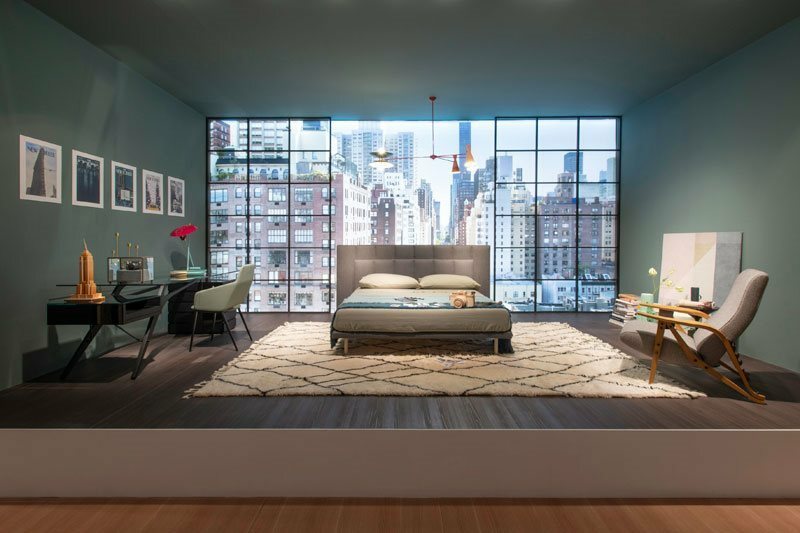 A cosmopolitan spirit dominates the bedroom overlooking the skyline of New York, in which historic icons dialogue with the visually striking Gala bed. 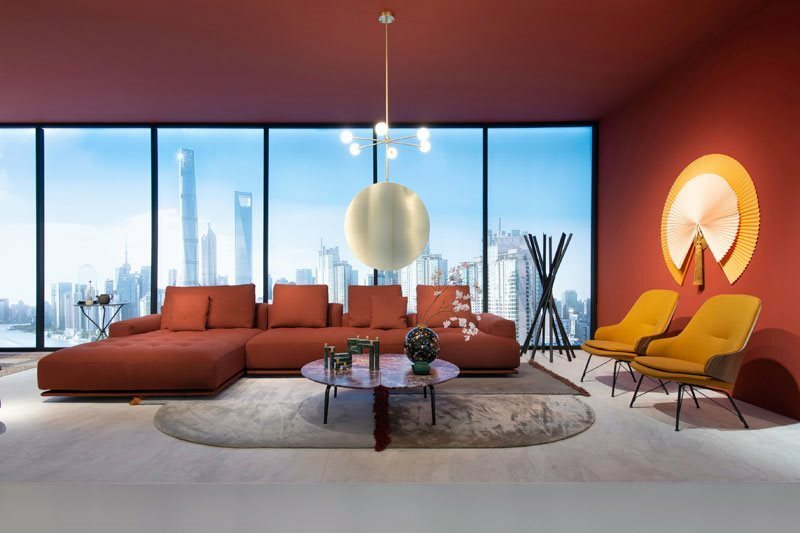 The Shanghai cityscape is reproduced by dynamic alternation between the different thicknesses and heights ofthe new Shiki divan sofa combined with the Graphium coffee table in red Lepanto marble. 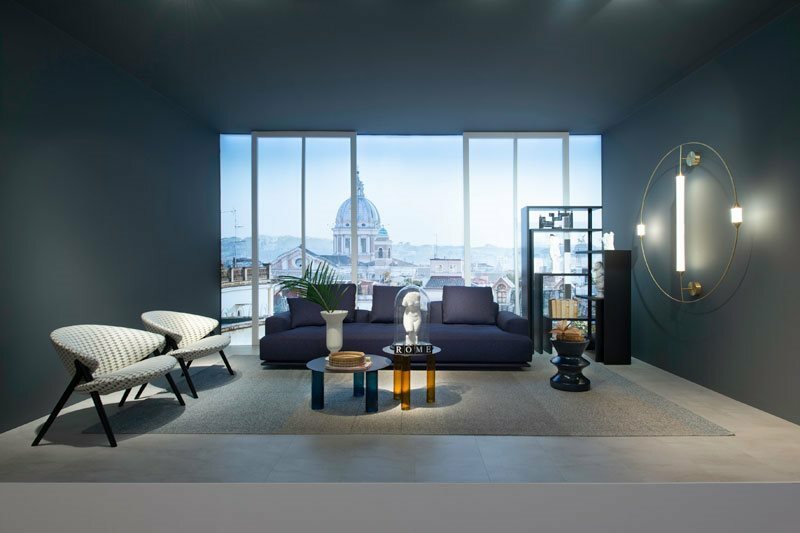 Echino blown glass coffee tables, with legs inspired by classical Doric columns, and a sculptured Joy bookcase pay homage to the art of classical Rome. These imaginary urban scenes feature many brand-new products. Two new upholstered designs have enriched the sofa collection: Shiki by Damian Williamson is inspired by the simplicity of traditional Japanese futons while Milano+ isthe latest evolution of the design by De Pas D’Urbino Lomazzi, a rationalist and linear sofa with a truly timeless design. The chair collection has seen the addition of the Oliva armchair by Constance Guisset, with its charming shell-like shape and the Tusa chair,with a simple yet sophisticated design by Rodolfo Dordoni. Three new tables have arrived too: Spotty features a surface decorated with an exclusive hand-made design by Pierre Charpin; Graphium by Garcia Cumini boasts a solid top in natural marble supported by a slender, organic, steel structure; Echino by Sebastian Herkner offers a highly personal expression of the power of glass. 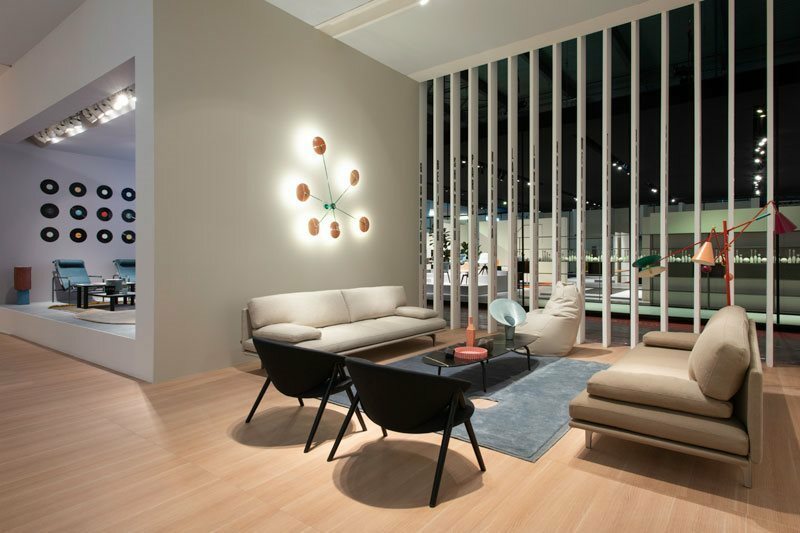 At the entrance is a space dedicated to the 50+1 years of Sacco, an anniversary that Zanotta is delighted to celebrate this year. 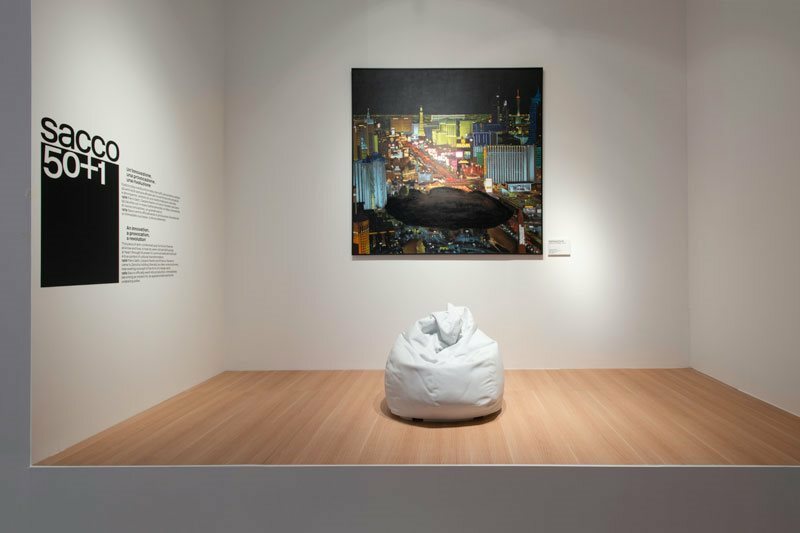 Visitors are welcomed by a sculpture of the chair by Krishnaraj Chonat, with contrasting folds and shadows carved by the artist in white Carrara marble, and a painting of Las Vegas by the same artist, representing today's fast-paced and constantly changing urban lifestyle.